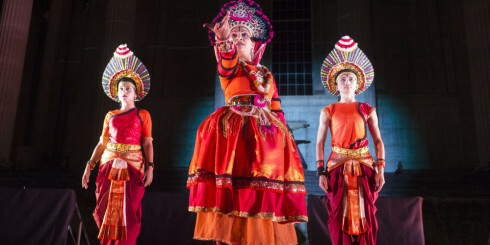 Mandala was a ground-breaking outdoor arts production by sampad South Asian Arts and Seeper that integrated 3D digital technology with South Asian performing arts. 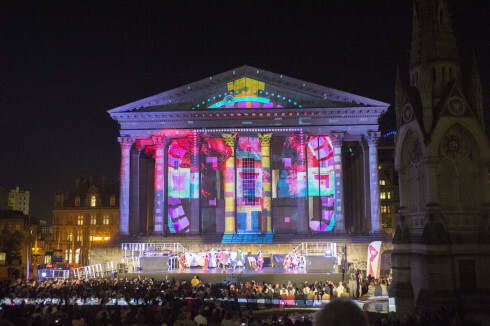 Performances event took place in Birmingham’s Chamberlain Square and Nottingham’s Old Market Square in September 2012. The multimedia spectacle provided the dramatic celebrations for the final weekend of the prestigious London 2012 Festival, a 12-week festival that showcased the UK’s world-class culture and gave people across the UK an opportunity to celebrate the London 2012 Olympic and Paralympic Games. Earthen Lamp were commissioned by sampad to investigate the viability of a crowd funding campaign for Mandala and then manage said campaign. We started with an investigation of projects that have achieved success through crowd funding and advised our client about how to move forward with a campaign. We researched and selected a supplier and then managed the communication, incentives and day to day running of the campaign. At the end of the project, we provided recommendations to sampad about future crowd funding activities. The campaign resulted in raising £1,000 for Mandala.